When we arrived in Buenos Aires at the end of last year, we marveled at the European-style architecture everywhere, especially the men and women carved in stone on building facades around the city. When we arrived in Berlin last month, sure enough we spotted the elaborate facades like the one above decorating buildings throughout most neighborhoods. The difference was that in Berlin this gorgeous architecture was found on residential, every day homes and buildings, while in Buenos Aires this was mainly reserved for grand buildings in the central parts of the city. Because much of Berlin was destroyed by bombs during World War II, many of these art-nouveau buildings were reconstructed to give the city its pre-war look. 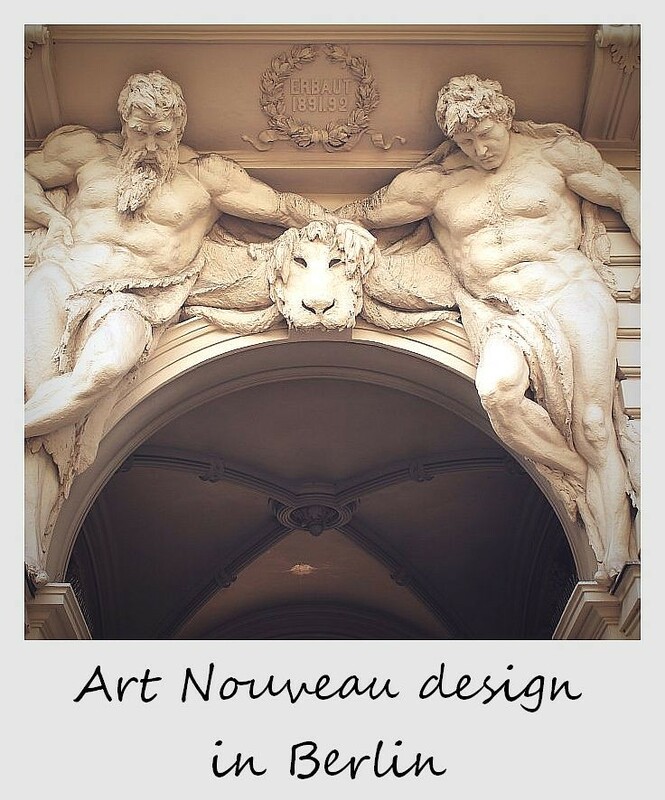 These classical stone sculptures are just one type of ornamental design, others include decorative strips, flowers and other carvings seen throughout Berlin. One lesson we learn over and over on our travels is to make sure to look UP on your walks through cities. We would easily have missed these details in Berlin had we not looked up.